Toto is a friendly little Shih Tzu mix, about 10 years old, with a jaunty walk and a wagging tail. Toto likes toys, treats, and chin scratches. He has good leash manners and loves attention. Toto is looking for a lap to warm in his golden years. Do you have a spot in your heart and your home for this little guy? Come meet him to find out if he’s your perfect match! Lobo is a manly cat! 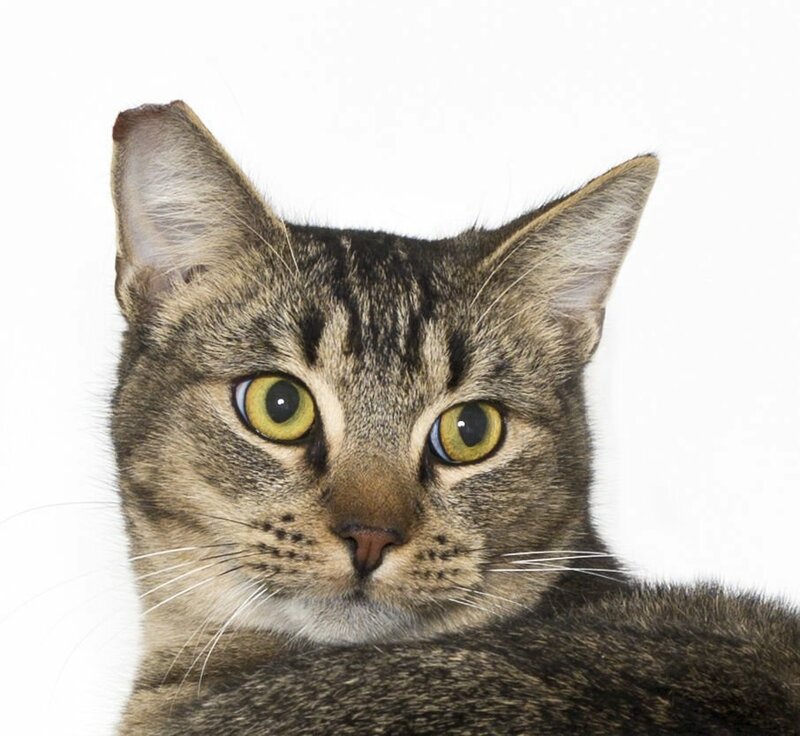 The domestic shorthair, 1 year old, is one lean and large purr machine that cannot wait to have a home of his own. This kitty has the best of both worlds when it comes to cat personalities. He can be lazy and loving but also act as a hardworking hunter too. Lobo likes to play with mouse toys, explore the nooks and crannies of his room, and talk to visitors. He is far from a boring cat. This kitty will keep you entertained with all his funny antics. He will also make you feel loved as Lobo likes to rub against visitors for pets. He even nudges his face against our hands letting us know that he wants attention. Lobo is one great cat. Come on by and meet this handsome man for yourself. All animals are examined by a veterinarian, spayed/neutered, vaccinated and microchipped. Everyone goes home with a free bag of pet food and free pet health exam by a participating partner clinic. Check out the Santa Maria Valley Humane Society website at www.smvhs.org and visit the shelter at 1687 W. Stowell Road in Santa Maria. Open 11 a.m. to 6 p.m. Wednesday through Sunday. Info: 805-349-3435.